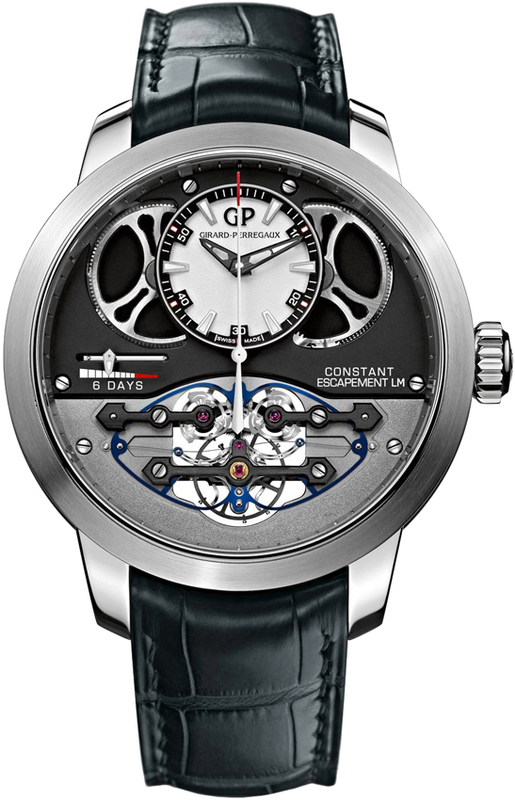 Girard Perregaux has developed an unique & mesmerizing response to an age-old challenge experienced with traditional mechanical movements. The escapement is the component that transfers the energy from the mainspring to the balance wheel, the regulating mechanism of the watch. A traditional lever escapement will mirror the amount of power it receives from the mainspring to the balance wheel. When the mainspring is fully wound a higher amount of energy is transferred to the escapement, which results in higher energy being transmitted to the balance wheel, which in turn will cause the watch to run a little faster. 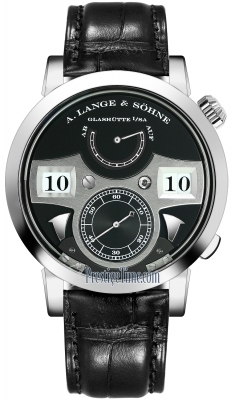 On the flip side, as the mainspring winds down a corresponding drop in power is being transmitted from the escapement lever to the balance wheel, which results in a lower amplitude & slowing-down of the watch. Girard Perregaux’s Constant Force Escapement features an escapement mechanism that transmits power to the balance wheel at a constant force regardless of the state of wind of the mainspring. The escapement features a cage made of silicon with an ultra-thin blade at the center (only 14 microns thick, 6 times thinner than a strand of hair) that buckles up & down. The blade will only buckle when a very specific amount of pressure is applied to it. 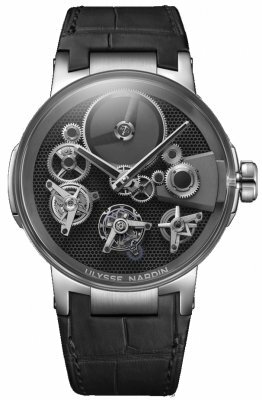 As the pressure builds from the unwinding of the mainspring the blade will buckle, with each buckle it creates an equal amount of force is transmitted to the balance wheel, thus propelling the movement forward. Solid 18kt white gold case & bezel. Case with a polished finished, bezel with a fine brushed finish. Fine grained grey bottom zone. 6 applied white gold index hour markers with luminous fill. Fine printed minute track on black flange. 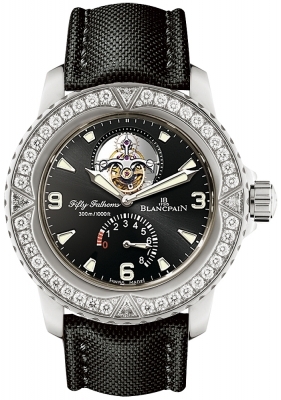 Blackened white gold hour & minute hands with luminous tips. 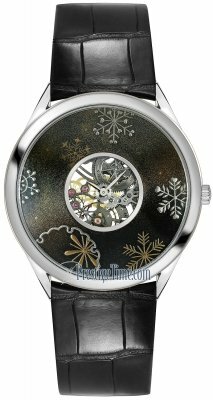 Large polished white gold central seconds hand. Linear power reserve indicator at the 9 o'clock position. Girard Perregaux Caliber GP09100-0002, beats at 21,600 vph, contains 28 Jewels & has an impressive power reserve of 6 Days (144 hours).